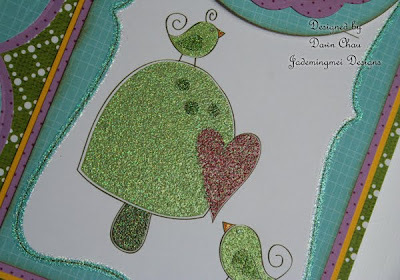 Still feeling in a Spring-y like crafting mood, I opted to make another composition journal this week. 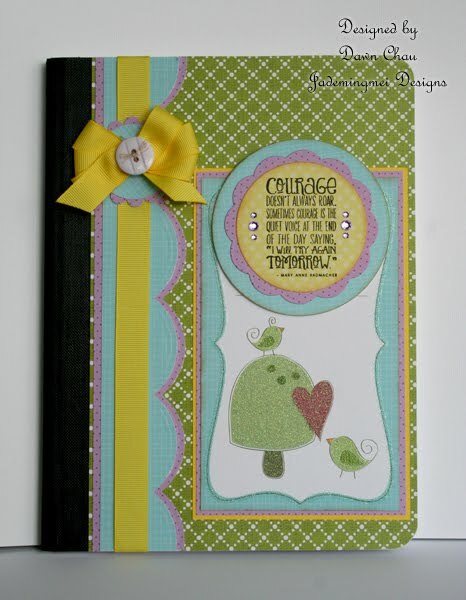 The main image I cut out(birdies on the mushroom), was actually a lined journal tag from a full 12 x12 page in my paper pad. I covered up the lines with my 'courage' Verve stamp and made the matte circles large enough to cover up most of the journal area. Lately I've been using patterned paper to stamp my phrases on. 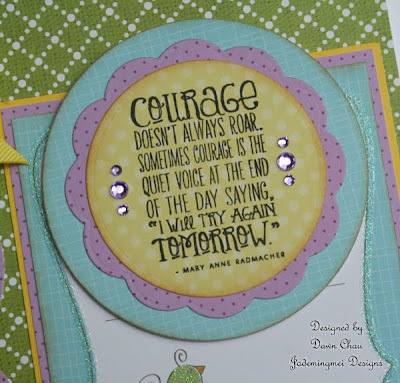 Here I used the yellow polka dot paper and it really is a nice contrast vs. just stamping my phrase on white cs. 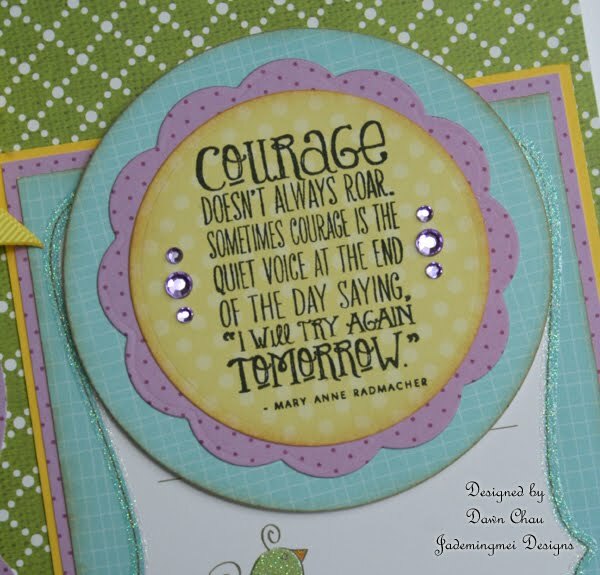 I finished off the image with a few purple rhinestones. You can see below just how sparkly and glittery this paper is! I've gotten a few emails as to what paper pads I've used on my projects and although I'm not very good about listing all my supplies, I figured showing a pic of the paper pad would be easier. What I love about these paper pads is that all the papers coordinate with one another and you can mix a number of patterns together. I'm not sure if this one is still available as I bought it last Spring...I think!